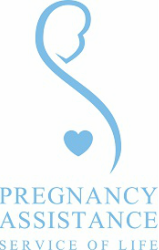 About Us - Pregnancy Assistance Inc. Perth WA Pregnancy Assistance Inc.
We provide compassionate care and emotional, practical and informative support to women in need throughout their pregnancy and post birth. Our free and confidential services are extended to all people irrespective of religion, race, demographic or personal values. We provide a safe space in which all pregnant woman have access to the care and support they need during their pregnancies and the freedom to make healthy decisions whether they are facing a crisis pregnancy and/or have had an abortion, miscarriage or stillbirth. We walk the pregnancy journey with the women we meet, assisting them through their crisis, encouraging them along the way and empowering them to walk independently into the future with HOPE and DIGNITY intact.